The longer explanation of the Parable of the Sower, the purpose of life and how to be good ground – Take heed therefore how ye hear! 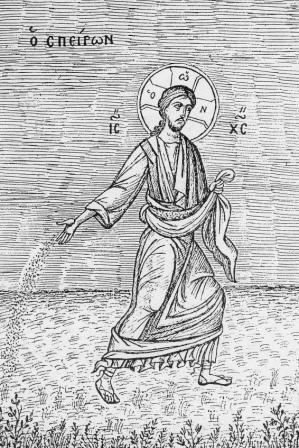 Synopsis: The parable of the sower is a rare parable, in that it is explained by the Lord Himself. This explanation is actually longer than most people think and we discuss what His other words, which are not part of the traditional reading, mean. These include "No man, when he hath lighted a candle, covereth it with a vessel" and "Take heed therefore how ye hear: for whosoever hath, to him shall be given; and whosoever hath not, from him shall be taken even that which he seemeth to have." Together with the parable, the explanation teaches us the basic purpose of life and how to be "good ground". Luk 8:5-18 A sower went out to sow his seed: and as he sowed, some fell by the way side; and it was trodden down, and the fowls of the air devoured it. (6) And some fell upon a rock; and as soon as it was sprung up, it withered away, because it lacked moisture. (7) And some fell among thorns; and the thorns sprang up with it, and choked it. (8) And other fell on good ground, and sprang up, and bare fruit an hundredfold. And when he had said these things, he cried, He that hath ears to hear, let him hear. (9) And his disciples asked him, saying, What might this parable be? (10) And he said, Unto you it is given to know the mysteries of the kingdom of God: but to others in parables; that seeing they might not see, and hearing they might not understand. (11) Now the parable is this: The seed is the word of God. (12) Those by the way side are they that hear; then cometh the devil, and taketh away the word out of their hearts, lest they should believe and be saved. (13) They on the rock are they, which, when they hear, receive the word with joy; and these have no root, which for a while believe, and in time of temptation fall away. (14) And that which fell among thorns are they, which, when they have heard, go forth, and are choked with cares and riches and pleasures of this life, and bring no fruit to perfection. (15) But that on the good ground are they, which in an honest and good heart, having heard the word, keep it, and bring forth fruit with patience. (16) No man, when he hath lighted a candle, covereth it with a vessel, or putteth it under a bed; but setteth it on a candlestick, that they which enter in may see the light. (17) For nothing is secret, that shall not be made manifest; neither any thing hid, that shall not be known and come abroad. (18) Take heed therefore how ye hear: for whosoever hath, to him shall be given; and whosoever hath not, from him shall be taken even that which he seemeth to have. Dn. Nicholas is looking for volunteers to help do some work on the upkeep of our church's storage areas. We could do alot to maximize the utility of our small church by having better storage solutions. We actually have quite a bit of space that could be used for storage if we can get it properly furnished. Please tell Fr. Nicholas if you are willing to help — probably on a Saturday sometime in the near future. On Monday, October 31st the world around us celebrates Halloween. Some elements of this celebration can be seen as positive manifestations of community and friendship that are often lacking in our world today. Other aspects are rooted in non-Christian religious traditions. Still others involve, to a greater or lesser degree, the glorification or celebration of evil. Orthodox Christians should approach Halloween with care and discernment. We are not afraid of demons, but we do know that they are real and active in the world. As Christians, we avoid any association with them and oppose them by prayer. We will have our usual Molieben on Monday, and would encourage you to attend. Priests Jean and Grégoire and all the faithful and suffering of Haiti. Normal fasting rules apply.Wednesday and Friday are fast days. AS ALWAYS, consult Fr Seraphim if you have any questions, problems, etc. His zeal for the Eucharist rebukes our lukewarm age. Today we celebrate Hieromartyr Lucian of Antioch. There are many interesting historical things about his life, and even a little theological controversy, but one event in his life shouts out at us, in our lukewarm age. A man who was weakened by torture, no doubt in great pain, and soon to die had such a thirst for the Eucharist that he served it with the Holy mysteries on his chest. 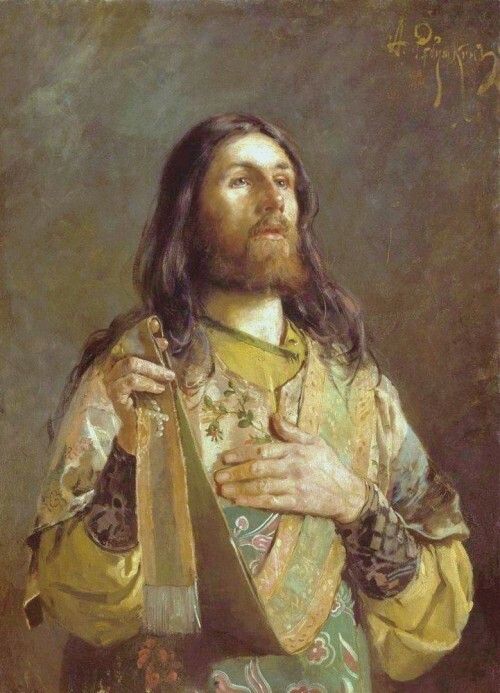 He celebrated using his chest as an altar in order to obey, in not literally the letter, but certainly, magnificently in spirit of the law – in the Orthodox Church, we ALWAYS celebrate the Holy mysteries literally upon the relics of the martyrs. 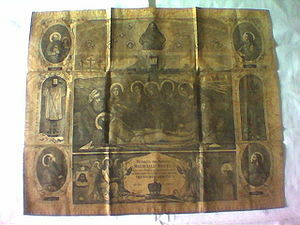 The antimins (antiminsion) is a piece of decorated cloth (usually with the scene from the taking down of the Lord from the Cross, and often with the 4 Evangelists in the corners, in which the relics of a martyrs(s) is sewn in (generally on the back side). In the Russian Church outside of Russia, I believe that all of our antimins have in them the relics of the Grand duchess Elizabeth and Nun Barbara. Romanian Antimins from Oradea-Mare (Transylvania), 1890. This cloth always rests on the altar table and is unfolded for the chalice and diskos to be placed upon it. the martyrs, the blood of the martyrs. The Holy Hieromartyr Lucian, having already many times over made his confession and witnessed to the unbelievers his faith in Christ (the word “martyr” manes “witness”), was already a martyr, although most of his blood still coursed through his veins and had not yet been spilled upon the ground. We should be in awe of Holy Lucian’s zeal and love. We should be ashamed if we partake of the Eucharist infrequently, with very little preparation or the fear of God. Here in Lucian’s life we see how important the Eucharist should be. For Lucian, this was not hypothetical, and his answer was to partake of the Eucharist, fulfilling the liturgical canon by using his own bloody body as an antimins, and feed and encourage all the Christians in the prison so they would have the strength to make their martyrdom – their witness. Every priest wants his people to partake of the Eucharist often, and with good preparation. Most of us are very disappointed, and in pain of soul beg the Lord to enkindle in our flocks the burning desire to partake of the “medicine of immortality”. Only God can change us from complacent to attentive, and this only happens with our positive reaction to the prompting of the Holy Spirit in our lives. Perhaps part of this change will occur as you read the exploits of the Hieromartyr Lucian, and compare them to the way you live your life, and the things you think are important. Do we live our lives in such a way to be “conformable to His death”? Do we even know what this means? The Scripture is quite clear – if we do not die, we will not live. Measure yourself today, and decide if you are in any way being made conformable to His death, or as the Apostle Paul also has said “dying daily”, or as the Lord said: taking up (your) cross, and losing your life, so that you might save it. The Hieromartyr Lucian, Presbyter of Antioch, was born in the Syrian city of Samosata. At 12 years of age he was left orphaned. Lucian distributed his possessions to the poor, and went to the city of Edessa to the confessor Makarios, under the guidance of whom he diligently read Holy Scripture and learned the ascetic life. For his pious and zealous spreading of Christianity amongst the Jews and pagans, Lucian was made presbyter. At Antioch Saint Lucian opened a school, where there gathered many students whom he instructed in book wisdom. Saint Lucian occupied himself with teaching work, and he corrected the text of Holy Scripture, having been corrupted by copyists and heretics. (The entire Greek text of the Bible corrected by him was hidden away in a wall during the time of his confessor's deed, and it was found during the time of Saint Constantine the Great). During the persecution of Diocletian, Saint Lucian was arrested, having been informed on by heretics, and he was dispatched to prison in Nicomedia, where over the course of 9 years he encouraged Christians together with him in the confessor's deed, urging them not to fear tortures and death. Saint Lucian died in prison from many terrible tortures and hunger. 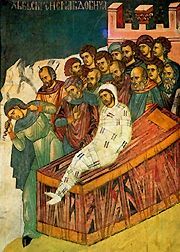 Before death, wanting to partake of the Holy Mysteries of Christ on the feast of Theophany, the priestmartyr — bound by chains to a box, was compelled to offer the Bloodless Sacrifice upon his chest, and all the Christians situated there in prison communed. The body of the holy martyr was thrown into the sea, but after 30 days dolphins brought it to shore. Believers with reverence buried the body of the much-suffering Saint Lucian. I am by no means suggesting that everyone, every time should partake of the Eucharist. 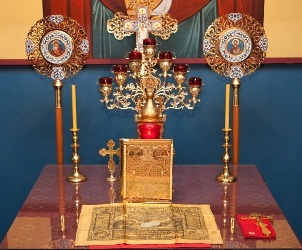 There is the unhealthy spectacle on some churches of most of the faithful communing, with only a remnant of these communicants having attended the preparation services on the night before and in the morning, and even arriving on time for the Divine Liturgy; many do not follow the rules of fasting, with no personal prayers of preparation for communion, and with extremely infrequent confession, or even without ever having confessed in a lifetime. Frequent communion is good and necessary, and it is given freely, but it is not “cheap”, and we must live a strenuous life in order to reap its benefits. If anyone has any questions they should talk to their priest. We are living in a temporary world for eternity. Effort in spiritual things is worth it. I try to read or listen to the Psalter daily. It is the church’s hymnal, and the depth of feeling, and combination of sadness and gladness always moves me. If we lived our life and prayed with the feeling that is in the Psalms, we would not be beset by the mediocrity we mostly settle for. Today, one of the Kathismas I listened to was the second. Psalm 9 particularly caught my attention. I share some of my feelings about it, in the great hope that you would take up the Psalter and learn from it how to pray, and to live. Other than the Gospels, I think it is the most important book in Scripture – it teaches us about Christ, and life and death, and how to pray and think and live in any situation in life. 9:8 And the Lord is become a refuge for the poor man, a helper in times of well-being and in afflictions. Remember: personalize! Who is the man who can read these words and not tremble! As a priest, I well know the phenomenon of people who pray to the Lord only when a great affliction befalls them, or perhaps come to the church for the first time in years, perhaps to light a candle or ask prayers for a loved one who has died. This is not the measure of how much we believe. We must consider the Lord to be our helper at all times. It is shameful how little we remember the Lord when things are going well. I learned recently that the basis of all the passions are this unholy trinity, “Laziness, forgetfulness and ignorance” I think the we must be blamed for all three as the cause of our failing to recognize viscerally that the Lord is our Helper at all Times. We are lazy, and pray very little, and search the Scriptures very little. This laziness makes us sleepy and we forget to seek God for everything in our life (the Psalms are the epitome of seeking God in prayer, and that is one of the reasons we must read them regularly). If we are praying little, reading little, and seeking little, we remain ignorant of God’s economy in our life. We are proud in our own conceits, and not like the poor man, who is also described in the beatitude: “Blessed are the poor in Spirit, for theirs is the Kingdom of Heaven” This is a sad state of affairs. O Lord, deliver me from all ignorance, forgetfulness, faintheartedness, and stony insensibility. How do we fight this “stony insensibility”? First of all, we must know that it grows in us, like a poisonous weed, in the manure of ignorance, forgetfulness and laziness and faintheartedness (I think in many ways the latter two passions are quite the same in their results, as a lazy man is always fearful when faced with something that should rouse him to action, because he is unaccustomed to labor). Everything else will follow, if we are willing to labor. The Scripture is not kind to those who are conceited and ignorant of their faults. Prayers before sleep, Prayer VII, of St. John Chrysostom, in 24 verses for each hour of the day. Synopsis: Only the Lord has the authority to tell us to "weep not". There is an epidemic of dysfunctional sadness in the world today; it is being treated by many partial solutions that often increase the despair and emptiness: medications, entertainments, passions. After His command to the Widow of Nain, the Lord mystically gives us the path we must travel in order to fulfill His command to "weep not" – "And he came and touched the bier: and they that bare him stood still." There is no other path that leads to true happiness. We explore the mystical meaning of these words, also incorporating an epistle read today: "And they that are Christ's have crucified the flesh with the affections and lusts." and "Bear ye one another's burdens, and so fulfill the law of Christ. ", and offer many practical suggestions on what we must do to live according to these words. the only key to happiness is here. The World does not have it; only Christ does, and through the healing of the Widow of Nain and the exhortation of St Paul to the Galatians, the path to it is clearly explained. Galatians 5:22-6:2 But the fruit of the Spirit is love, joy, peace, longsuffering, gentleness, goodness, faith, (23) Meekness, temperance: against such there is no law. (24) And they that are Christ's have crucified the flesh with the affections and lusts. (25) If we live in the Spirit, let us also walk in the Spirit. (26) Let us not be desirous of vain glory, provoking one another, envying one another. (6:1) Brethren, if a man be overtaken in a fault, ye which are spiritual, restore such an one in the spirit of meekness; considering thyself, lest thou also be tempted. (2) Bear ye one another's burdens, and so fulfil the law of Christ. That the whole evening may be perfect, holy, peaceful and sinless, let us ask of the Lord.” Why do we pray this prayer, when past experience tells us that it will not be fulfilled today? Synopsis: In the last litany of Vespers and Matins we pray "That the whole evening may be perfect, holy, peaceful and sinless, let us ask of the Lord." Why do we pray this prayer, when past experience tells us that it will not be fulfilled today? Do we mean what we say, or are these just words? We look into the meaning and intent of this prayer and why it is so important. We should understand what we pray, why we pray and what we must do to indicate to the Lord that we mean what we pray. 1. Dn. Nicholas is looking for volunteers to help do some work on the upkeep of our church's storage areas. We could do alot to maximize the utility of our small church by having better storage solutions. We actually have quite a bit of space that could be used for storage if we can get it properly furnished. Please tell Fr. Nicholas if you are willing to help — probably on a Saturday sometime in the near future. A Spiritual reflection regarding Prayer of an Orthodox Christian priest in front of a late term abortion clinic during the Dallas 40 days for life campaign. Synopsis: The personal experience of an Orthodox Christian and priest praying in front of a late term abortion clinic during the 40 days for life campaign, Wednesday, Oct 19, 2011. This is difficult and heavy prayer because outside, on the street, things look normal, but inside some lives are terminated, and many other lives are perhaps irrevocably damaged in terrible ways. A spiritual reflection, including whether we should pray for "them" or "us", and that a Christian must feel responsible for all sin and act upon his inner impulses from the heart, and about praying "one hour", and personalizing the "Akathist for a Woman Who Has Aborted a Child"
Luke 6:31-36 31 And as ye would that men should do to you, do ye also to them likewise. 32 For if ye love them which love you, what thank have ye? for sinners also love those that love them. 33 And if ye do good to them which do good to you, what thank have ye? for sinners also do even the same. 34 And if ye lend to them of whom ye hope to receive, what thank have ye? for sinners also lend to sinners, to receive as much again. 35 But love ye your enemies, and do good, and lend, hoping for nothing again; and your reward shall be great, and ye shall be the children of the Highest: for he is kind unto the unthankful and to the evil. 36 Be ye therefore merciful, as your Father also is merciful. SYNOPSIS:The "Golden Rule" is explained, including a mention of how the world twists this rule into a sort of magical "law of attraction". The REASON for the golden rule and everything we do is because we are "children of the highest". SYNOPSIS:On this Sunday before Nativity, St John of Kronstadt is also commemorated, and the Gospel for him and his life perfectly describes the purpose of the Incarnation. This Gospel contains our Lord's admonishments to love, using concrete examples, and concludes with the promise "And ye shall be children of the highest". 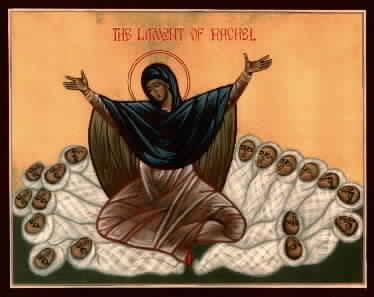 This is the purpose of the incarnation, and examining this Gospel along with St John's life, which struggled to fulfill it illuminates this purpose for us, therefore, on this Sunday when we read the "Begats", it is appropriate to delve into what is means to be children of the highest, and how and why we can attain this high calling. We also suggest another way to describe the "Golden Rule" and what should be our inner motivation for loving our fellow man, and doing anything that is good in this life. 1. Fr Seraphim And Deacon Nicholas have returned from the Diocesan Clergy meeting and the celebration of the Feast of the Protection of the Theotokos at our Diocesan Cathedral in Chicago. 2. "FORTY DAYS for LIFE" is in full swing now. I FULLY SUPPORT our participation in this worthy endeavor, and Fr Nicholas, myself, and Matushka Marina (at least) are participating. ARE YOU? I am asking you to! We will gather at various hours, from 7 am till 7 pm, October 19th, at the Southwestern Late-term Abortion Facility, 8616 Greenville Ave., Dallas.. If you do not know what to do, not to worry! There will be prayers there for us to use. We will sing akathists, and canons. If you cannto sing, you can just say them! Abortion is a cancer which kills much more than an unborn child. We must pray not only for mothers who are contemplating abortion, but also those who have had abortions and are suffering in many ways. The world tells them that they have a "right to choose", but the soul tells them something is wrong. Our society is breaking down in almost every way because of immorality, and abortion rights are one of the lynch pins upon which this disintegration devolves. May we in some way contribute to the saving of untold women and men from the "mouth of the lion" because of immorality, which kills the soul. See http://orthodox.net/redeemingthetime/2011/09/24/orthodox-christians-prayer-for-40-days-for-life-vigil-october-19th-700-a-m-to-700-p-m/ for information on how to sign up and participate in our Orthodox prayer. 4. Dn. Nicholas is looking for volunteers to help do some work on the upkeep of our church's storage areas. We could do alot to maximize the utility of our small church by having better storage solutions. We actually have quite a bit of space that could be used for storage if we can get it properly furnished. Please tell Fr. Nicholas if you are willing to help — probably on a Saturday sometime in the near future. Orthodox Christians Prayer for 40 Days for Life Vigil: October 19th, 7:00 a.m. to 7:00 p.m.
That oughta keep you busy! You are currently browsing the Saint Nicholas Orthodox Church blog archives for October, 2011.